Server running: latest 0.2.8 from bzr. 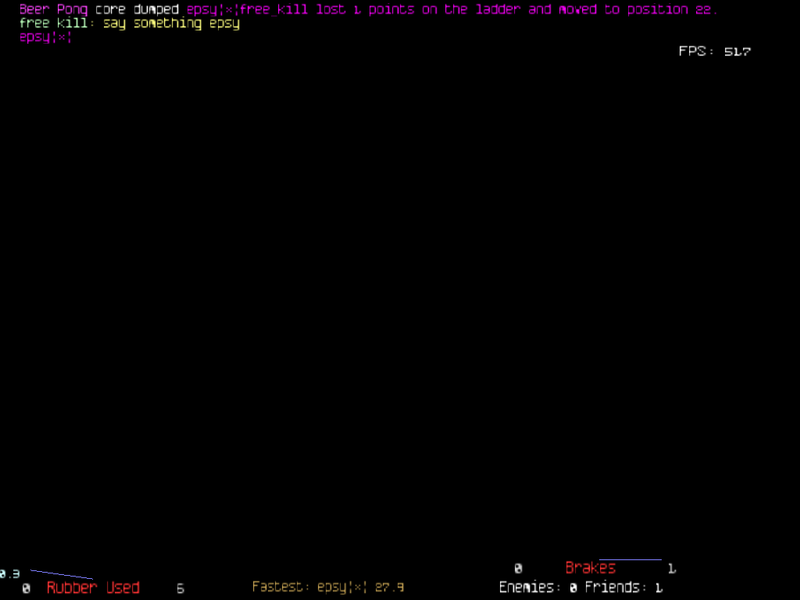 While playing on my server, In Limbo, epsy entered and anything he said was truncated past his name. Server messages that had his name in them were garbled. I renamed to "free kill ¶" and the issue also happened when my name was used in messages. Appears to be a text encoding problem, possibly related to filter_color_strings. Can't get this reproduced. A clientside recording may help. See attached clientside recording. Mac OS X client built from 0.2.8 bzr r1002. 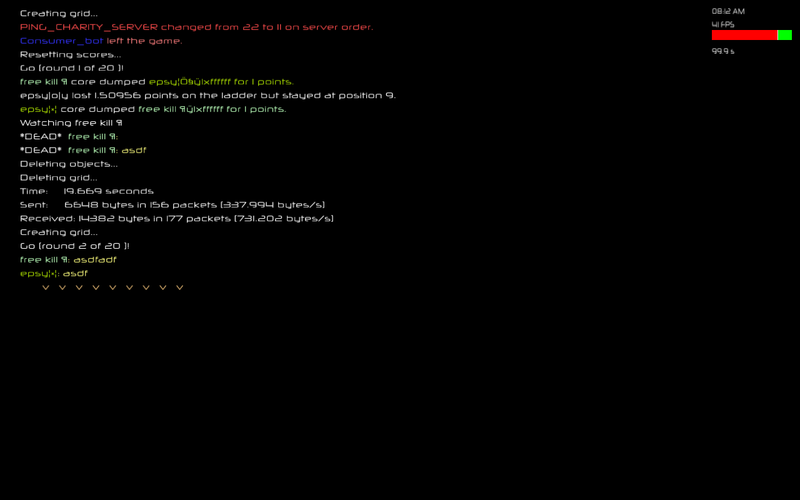 See attached server recording that I made some time ago. Server version is running 0.2.8 bzr r954. The server is running on Debian etch ppc64. Ah, ppc and 64 bit, that may explain things. String encoding works in rather odd ways, it's possible that the combination of endianness and bitness breaks stuff. r1003 clarifies the logic to the compiler somewhat. Can you try that on the server? If it doesn't help, can I get debug access on the server? r1003 didn't fix it. I'll send you the info for your account on the server. Gaa. Fixed. /me lacks in the language lawyer department.